This report is to document Lindon Police Department’s use of the Unmanned Aerial Vehicle within the State of Utah, and conforms to the written request to document its use for the year of 2014. Lindon City has chosen to implement the UAV program to assist with search and rescue operations, investigations, and documentation through Video and still photo’s of City owned property. The UAV platform is a DJI Phantom QuadCopter. The Platform carries a GoPro Camera as well as the capability of Carrying a TAU 336 FLIR Camera. Both Cameras can downlink live footage video to a ground station. The ground station consists of both a Laptop Computer and a pair of Fatshark Goggles. There were a total of twenty-two flights in the year of 2014. Six of those flights were performed for the purpose of documenting Crime Scenes from the air to give investigators a more broad view of the scene. Several of these six flights were performed pursuant to mutual aid requests from Utah County law enforcement agencies. The other sixteen flights were to document City property or as training flights to test equipment upgrades, and become more proficient with flying the UAV. The UAV assisted in all six of the investigative flights by providing a more broad aerial view of the scenes. The scenes were large in size and the video and pictures give a better perspective of distances as well as an overall picture of the area. The UAV is substantially more cost effective in comparison to full scale Helicopters or Planes, and is deployed significantly faster. Two of the six investigative flights are currently in the adjudication process. 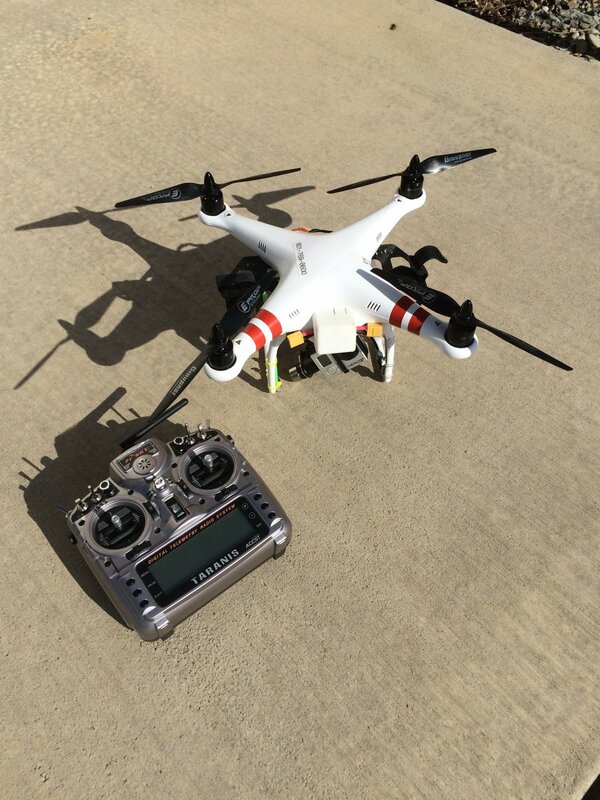 The frequency used to collect the data is 5.8Ghz for video, and 433Mhz used to control the UAV in flight. The data collected was in the form of video and still pictures. Lindon City did not receive any data from a citizen operating a UAV platform that was used to further investigate any crime/crimes. The total cost on the UAV for the year of 2014 was $8,634.94, $8,284.94 of the money being funded by a Government grant. The majority of the cost was merging the FLIR camera program into the UAV program. The UAV was not used to target an individual or property to further any investigation during the year of 2014.